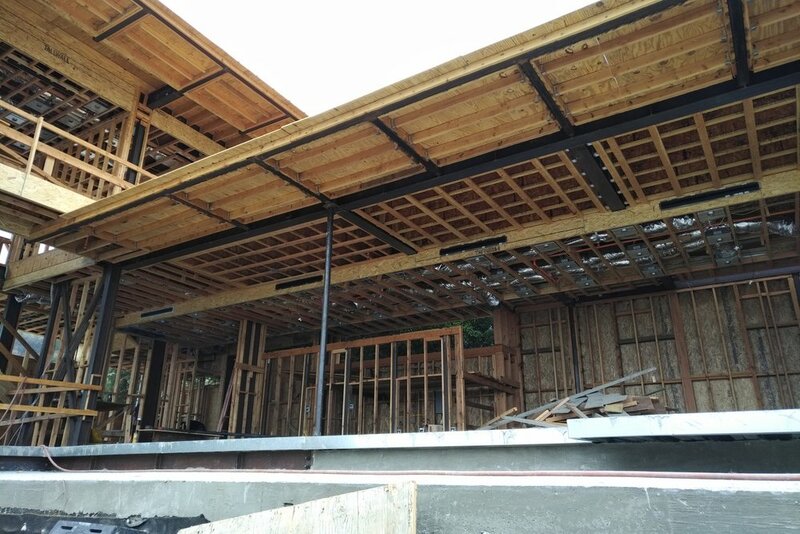 February 2018 – Construction update at House in the Hollywood Hills, Los Angeles, CA. Photo Credit: Douglas Raub Design and Construction Inc.
October, 2017 – Jonie Fu joins Panelists Amahl Hazelton, David Colangelo, Valentin Spiess and Moderater Diana Darling for "Media Architecture and the Transformation of the City" discussion at the Center for Architecture sponsored by the Consulate General of Switzerland NY and AIANY. September, 2017– Construction update at House in the Hollywood Hills, Los Angeles, CA. 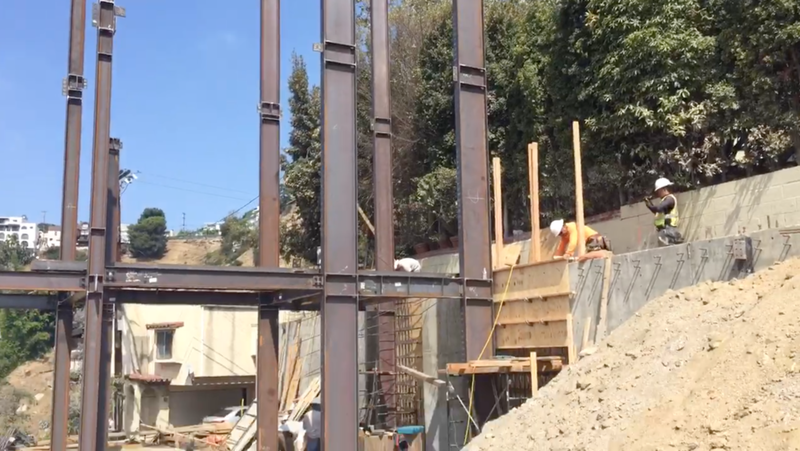 April, 2017 – Construction begins at House in the Hollywood Hills, Los Angeles, CA. November, 2015 – River Campus Starts Construction, project led by Fred Wilmers while at Rafael Viñoly Architects, project scope includes new laboratory building, esplanade, and extension of the campus over FDR Drive along the East River, New York, NY. January 29, 2015 – Jonie Fu, Moderator, Planning and Design from the Perspective of the Water, Center for Architecture, NY, NY. March 28, 2014 – Jonie Fu, Co-chair, Alumni Forum, Columbia University School of Architecture, Plannning and Preservation, NY, NY. February 24, 2014 – Jonie Fu, Panelist, Lighting the Public Realm, Center for Architecture, New York, NY. May 2, 2013 – Jonie Fu, Presenter, Campus as Catalyst, SCUP Regional Conference, Montreal, Canada.